This question has opened up some of my favorite conversations with co-workers at Sonata Hospice in San Diego where I work as a Bereavement Coordinator. I have lived in the same house for 17 years. I have attended the same church that is 10 minutes from my home for 21 years. And I was a stay at home mom engaged in vocational work in my neighborhood for 20 years. I guess you could say that I have fully embraced what author Sarah Bessey calls, “The Ministry of Staying Put” – a meaningful life that is characterized by making intentional investments in my local community. “The Ministry of Staying Put” leads me to the joy of sharing life and meals with family, friends, neighbors, and strangers around my table. But my beloved lifework does not provide many opportunities to form deep relationships with a diverse group of friends. And so, I didn’t develop meaningful relationships with people from varied backgrounds, traditions, and beliefs until I began working outside of my home about a year and a half ago. One of the first friendships that I formed at work is with a twenty-something, Muslim man from Iraq. (This makes perfect sense to anyone who knows that I’ve been hosting a weekly community dinner for young adult men for nine years.) I love listening to Maamoon talk about his faith and his devotion to God. It’s delightful to learn about all the things we have in common when I live in a media culture that so often only highlights the differences between Muslims and Christians. 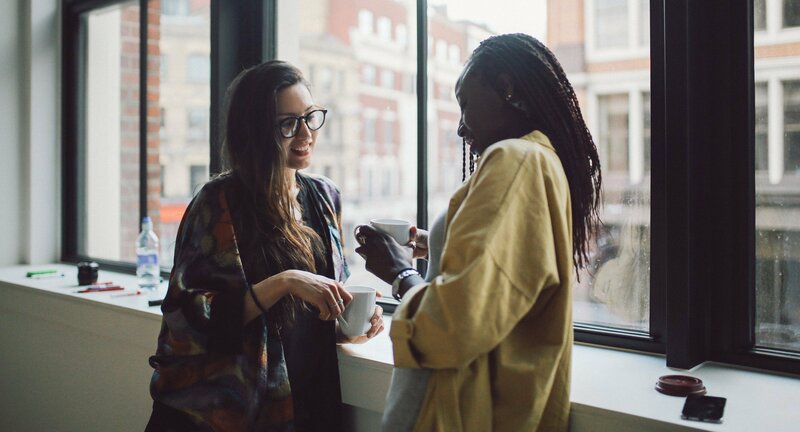 Related Article: How do we prevent fear from keeping us from listening to one another? Maamoon and I were sitting side by side in the conference room at a work potluck, eating homemade Asian salt and pepper wings the first time I asked him, “Can I ask you all of my ignorant questions about being Muslim? Most of my knowledge of the Muslim faith is about radical Muslims on the news. I’ve never had a Muslim friend who I can ask questions about their beliefs and practices.” He laughed, but he was also very patient to answer every question I could think of, no matter how ridiculous or misinformed. I was enjoying a mid-workday, shrimp curry lunch date with Victoria, a lovely co-worker/nurse from Uganda, when I asked her a similar question, “Can I ask you all my ignorant questions about growing up in Africa?” She also laughed, and our conversation began by clarifying that Africa is a very big continent and she can’t speak for all Africans, but she’d be happy to answer any question that I have about growing up in her community in Uganda. Victoria was also very patient to let me respectfully ask my unedited questions – even my follow up questions about witch doctors after she told me about the herbs and teas her grandma and aunties would give her whenever she was sick. These friendships and conversations enrich my life. I am grateful for Maamoon and Victoria’s continued graciousness towards me. We are living in a time when we can easily and unknowingly expose ourselves to criticism when we start asking questions about a religion, culture, or identity that is different than ours. In too many circles ignorance is treated with the same disdain and judgement as intolerance. So it is often safer to be silent in our uniformed and limited knowledge than to risk offending someone. But we are missing out on valuable opportunities to connect and grow in our understanding of people if we aren’t giving one another permission to ask each other ignorant questions. Understanding is not the result of learning a fact. Facts are so often merely used to debate and persuade. Understanding takes time and patience and thought that is rooted in conversations and hearts that are bent towards learning rather than proving. This is the power of a dinner table – or a potluck or a lunch date. Every shared meal is an opportunity to broaden our understanding of people through respectful and unguarded conversation. 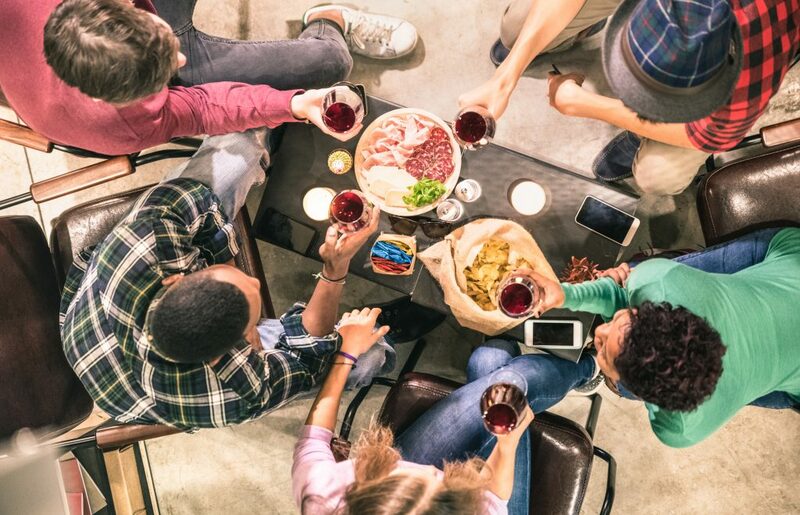 When we gather loved ones around our table we are also creating a safe space for people to form invaluable connections as we discover the ways we are similar, and grow by learning about the ways we are different. This is how we can positively influence our world, one meal at a time. Wendy (Johnson) Kessler (94) is a Bereavement Coordinator at Sonata Hospice in San Diego, and has invited young adults to gather around her table for weekly dinners for nine years. 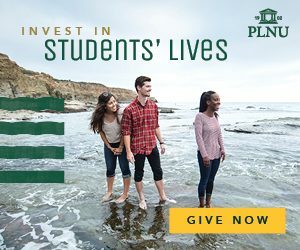 Wendy and her husband Ryan Kessler (94) are recipients of a 2017 PLNU Alumni Award for their investment in PLNU post graduates through community dinners. A PLNU Sociology/Social Work graduate, she resides in Point Loma with Ryan and their three sons. Follow Wendy’s blog at wendykessler.com for advice and inspiration on practicing hospitality, home cooking recipes, faith discussions, and more.